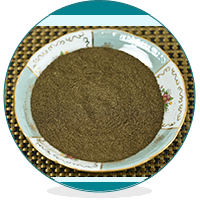 Kratom, also known as biak and by the scientific name Mitragyna Speciose, is the name of an evergreen tree in the Southeast Asian region, more specifically Myanmar, Thailand, and Malaysia. It is from the leaves of this tree that an alkaloid substance of the same name is derived which has long been used by locals for its medicinal purposes. What are the Dangers of Kratom Abuse? Kratom is known to alleviate symptoms of diarrhea, act as a sedative/analgesic, an aphrodisiac or more uniquely to help with those suffering from opiate addiction. It has been used widely by people who engage in high-intensity labor in order to mitigate the toll on their bodies. When taken, it induces a euphoric sensation or high in the user. This has led many people to abuse the herb, which is usually chewed and can be obtained in dried crushed form in many kratom sale outlets and bars. It is also commonly consumed as kratom tea but is also available in capsules, tinctures, resin and powder form. The disparity of its uses ironically makes it difficult to categorize kratom as good or bad, as you can use kratom for opiate withdrawal while it can also be addictive in its own right. Even though kratom is widely used in Myanmar, Malaysia, and Thailand, it is illegal in all three countries. Other countries like Australia and Romania have followed suit and yet more countries may join in banning it if abuse of the product continues unchecked. More recently, this drug has found its way into the US and its rapidly spreading popularity is causing a bit of controversy because of its lack of regulation and testing. It is said that it is perfectly legal (except you live in Indiana) to use Kratom. It is, however, a drug of increasing concern and has been flagged as such by the Drug Enforcement Administration, the DEA. Is a kratom addiction serious? Kratom addiction can be very serious, especially if you use too much of the substance for recreational purposes. Continuous use of kratom can lead to a psychological dependence within few weeks, and physical dependency within half a year. Using kratom can have widely varying effects depending on the dosage and the mode with which it is consumed. At low doses (less than 3 to 5 grams of the raw leaves), kratom has only a stimulating effect, somewhat similar to coffee or some types of tea. It can make the user more energetic and better equipped to put in longer hours and effort in work without dimming the user’s cognitive functions and it does not affect the quality of the work done. It is even said that it can act as a brain enhancer and make one work more effectively than usual. When used in higher doses (5 to 10 grams of the refined product), Kratom begins to have more serious and longer lasting effects. When abused, kratom has a more sedative effect which is caused largely by 3 out of about 25 alkaloids contained in the plant namely: mitragynine, 7-hydroxymitragynine and paynanthine. Mitragynine is similar to other highly addictive substances such as heroin in that it is also an opioid agonist but it differs because it attaches to the δ-opioid receptors instead of the µ-receptors like heroin. 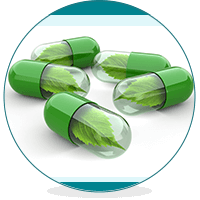 At higher doses of kratom, the mitragynine level increases and starts to latch onto the µ-opioid receptors creating an opiate-like effect. Mixing kratom with other stimulating substances like alcohol or cough syrups can greatly increase the risk of negative and unpredictable effects that can result from its use. Also consuming it through forms like smoking it or injecting it directly into the bloodstream are very dangerous. Smoking kratom is however not a common way to consume the herb. Short-term effects of kratom abuse is mainly a euphoric feeling and a heightened sense of wellbeing. Negative effects like nausea, vomiting, excessive urine production and constipation may set in when the dose is too high. Long-term effects of kratom abuse have been known to include an ungainly sickly appearance and dark patches on the skin especially the face. How serious is Kratom Addiction? Addiction to kratom is something that seems to still divide opinion among users. Some people doing drugs say it’s hardly addictive and you can quit using it whenever you feel like. Others say it’s as addictive as any other addictive substance. The correct position is probably that it can be addictive when it is abused, that is when you use too much of it and mostly for recreational purposes. If your aim for using the kratom is just to get high, it is very likely that you will get hooked as you will progressively require larger quantities to get the same high and you will use it indiscriminately. Because kratom’s chemical structure is unlike most of the other drugs that are being sought out during drug tests, it is highly unlikely that kratom use will be detectable on a drug test. This is more so as kratom is rarely, if not never, specifically the target of drug tests and also because even if detected, it is not likely to be a crime because it is perfectly legal in most places. It is also highly unlikely that kratom’s presence in a user’s system will create a false positive when tested for other drugs. The dangers of kratom abuse include nausea, vomiting, excessive urination, and constipation. In the long run, kratom abuse can lead to a sickly appearance and dark patchy skin on the user. – A study once showed that out of a group of long-term users of kratom (half a year or more), 50% of them showed severe withdrawal symptoms while 45% showed milder withdrawal symptoms. Only 5% remained unaffected. – The same study noted that over 80% of these users attempted and failed to stop using kratom. – The kratom Act was introduced in Thailand as far back as 1939 in order to curb the growing of new kratom trees and the consumption of the existing ones. Despite this, it is still widely used. – In 2010, there were kratom seizures of more than 2 tons in Malaysia and 28 tons in Thailand, the greatest total amount in the last 5 years. How Can You Treat Kratom Addiction? Kratom has been successfully used to kick the addiction to stronger substances such as heroin. But how does one go about kicking the addiction to kratom itself? In order to treat kratom addiction, the user must first admit to being addicted and this is usually the most difficult part. The usage of other mood-altering substances when kratom is unavailable. Kratom generally has a very low potential for abuse but the problem usually arises when it’s being mixed with other substances such as O-desmethyltramadol, then it can become a completely different matter. When it has been established that a person is addicted to kratom, the next step is to seek help. Just trying to quit may not work as people often relapse and find that they end up using even more of the substance than before. Sometimes, a person can do harm to himself/herself due to the withdrawal symptoms that may become too severe to manage alone. What is required is a conducive environment with trained and experienced personnel who can help manage the detoxification process. Traces of the drug are usually stored in fatty tissue. Deep detox methods can be used to extract them. The availability of specialist healthcare personnel who have experience dealing with people who have suffered the exact same withdrawal symptoms as you. The post-rehab support which is designed to make sure you do not return to the habits that led to your addiction. Psychological affirmation by interacting with people who have successfully overcome kratom addiction. Dietary supplements and an exercise regimen that will make you feel good and improve your overall health while getting rid of your kratom addiction. Psychological support with dealing with mental issues such as shame, guilt, and broken relationships during the treatment. The advantage goes on and on. Getting help is not a sign of weakness; it is good thinking. If you or someone you care about is suffering from kratom addiction, contact us today.